Hi friends! I want to ask your opinion. One thing as a movie blogger I have struggled with is rating or ranking the films I see. It’s one thing if it is the Pixar reviews or Disney Canon reviews and they are films I can watch multiple times really crafting an “expert” opinion. I feel more confident in those reviews; although, some of the early Canon reviews I think I was a little bit tough (particularly Bambi and Pinocchio) because I didn’t have much experience writing reviews. But when I am reviewing a new movie it is hard to have that kind of exposure to the film and it is mostly a response to my gut reaction. It’s tough to take notes although sometimes I do. I think most readers understand the difference between new and previously released films but I wonder if the grading system I use sometimes hinders me a bit in giving that response. Here’s what I mean. There are a lot of films that I enjoy and would sincerely recommend them to people. That said, I see the flaws and feel they are an average film. There’s nothing wrong with that. This according to my grade gets a C grade. B is really good and A is in running for best of year. But it seems to me that people can become to fixated on the C grade and ignore all the positive things I said in the review. Sometimes I wonder if people read the review at all and just looked at the grade. Here I was telling my friends go see it but my giving it a C- (just a hair below average) means I am a tough critic? I don’t get it? One thing I have noticed is in my video reviews for my youtube channel I don’t give out grades. Not out of design but honestly most of the time I simply forget. I just give my response to the film and people seem very happy with that. I wonder sometimes if people listen to what I say a little bit more because I didn’t give a grade? Sometimes I feel like the judges on Dancing with the Stars that get booed anytime they say anything negative about a performance. I’ll say tons of great things about a film and then have a few things I didn’t like and people focus on those instead of all the good stuff. That can be very frustrating as a writer. I’ve had people say a ‘you should have given it a B’ but when we actually talk about our experiences and reactions they aren’t that different. It’s just what defines a C to me is a B for him or her. That makes me want to throw the grades out! I don’t know. What do you think? Do you see value in having a grade at the end of the review? Is it something you care about? Do you think I am a tough critic? Sure I have my preferences but there are very few movies I totally dog (Maleficent I’m talking to you…). Please give me some feedback my lovely readers. Do you like the grades or can I do away with them and just write my thoughts on the film? That’s what I did for Scrooge Month last year and it worked out great. No grades needed. You gotta do what you feel is best. You’ve gone this far not giving out grades and just talking about the movie and it’s been working great for you! I feel if you start giving grades, people will just look at the grades and not actually read through your review knowing which parts of the movie you praise and which parts you criticize. When I started my animation blog, I didn’t want to give grades to movies I reviewed which was why I invented my “greater than comparison” ranking. But, for my live-action blog, I wanted and had to give grades because I wanted to see how I’d rank all these movies as I watched them. But like you, I do talk about the positives and negatives in my reviews. There have been movies with good grades that I’ve criticized aspects of and movies with bad grades that I’ve praised aspects of. In the end, you have to do what feel best reflects you as a critic. You seem to work best with and enjoy the way you currently do it, so I’d say stick with it. Yeah that’s what I’m debating because it does seem like without the grades people might read more closely. You are right though. You just have to do what feels right for you. Hmmm. Yeah, you gotta know your own critical skills/expectations and what you want from your readers, etc. Very true. I just want to be able to effectively communicate how I feel in a way that is helpful to everyone. Why not do a “Love it, Like It, It’s Ok, Dislike it, Hate it” scale? But I do give grades on the blog just not on the channel. That’s the debate. You might have noticed that I rarely give out grades myself. Partly because some things can’t really be compared that well with each other, partly because it is all a matter of taste (hence me trying to guess which kind of viewer would enjoy a particular heroine). Everybody should do what he or she feels the most comfortable with. The main problem seems to be in films that I think are just ok everyday films. Not bad, not especially good. It’s hard to quantify that. You need to do what is best for you. What makes you feel good, and what system satisfies you. Sometimes your gut reaction is the best thing to follow. I remember us having this conversation around a year ago when it comes to certain systems we use. The main thing is that people look for many different things when seeing a movie. Some just want good humor, others want entertaining characters, some just mainly focus on the animation, and others only care about good and complex writing. Another thing is that some people see a C as less than average. 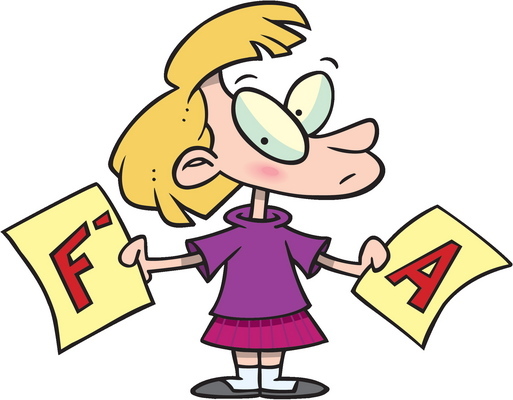 Some people see a certain grade level differently, which could be the issue. It is your blog, and do what you feel. If you like your system, stick with it. Best wishes. Thanks. I really appreciate you saying that. Even for me sometimes I want different things out of different movies. It can even depend on what mood I am in on the day I am watching especially for comedies. Personally, I prefer movie reviews with grades, but that’s because I have a very mathematical mind and that kind of clear quantification appeals to me. That said, I always still read the reviews: if a movie got a certain ranking, I want to know why. But then, you’re probably right in that some other people focus more on the grade, and it can be difficult to assign a grade sometimes if you’re striking a balance between how the film appealed to you and how it might appeal to a general audience. The other commenters have already said it, but ultimately the best approach is whatever feels right for you. They’re your reviews, after all! From all your reviews that I’ve looked at, I wouldn’t call you a tough critic, which could be because I definitely am. There are quite a few 4.5 star reviews on my blog but hardly any 5s – a book/film/episode of Doctor Who’s really got to be special to merit full marks from me. I feel that it’s OK to have ratings as long as you justify it in the review and give positives and negatives.